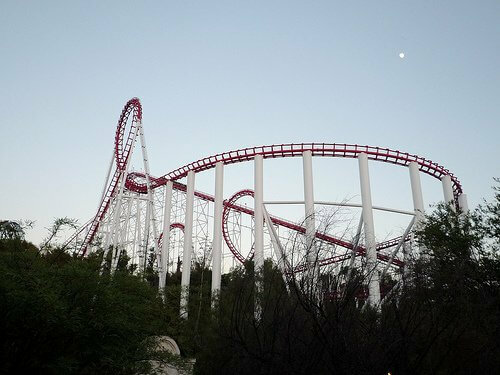 Viper was manufactured by Arrow Dynamics, the same company to design the Matterhorn Bobsleds coaster at Disneyland. When the ride opened in 1990 it held a record for the fastest and tallest looping coaster until a coaster called Steel Phantom in Pennsylvania beat the record. 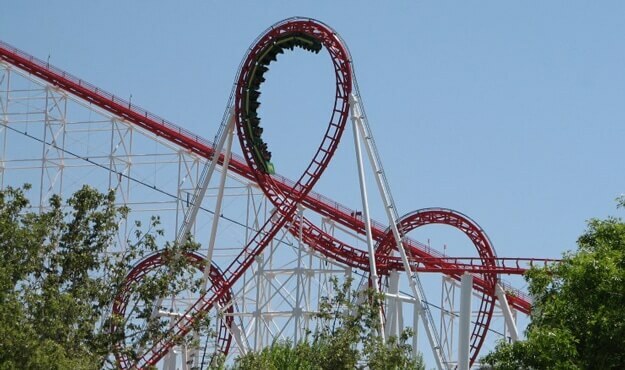 There is something unique about this coaster, it has two vertical loops in a row and a double corkscrew! With that in mind, this is one coaster that is likely to give you a head-rush. 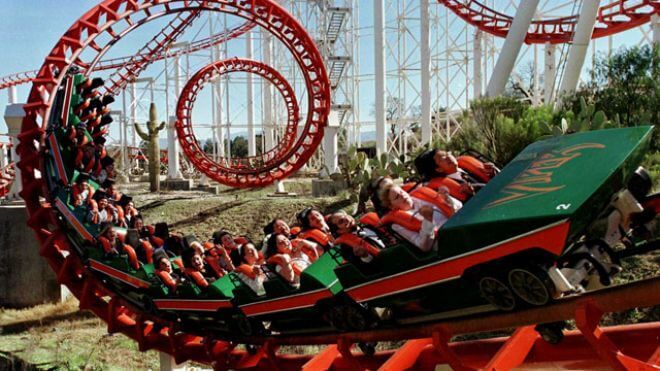 On a helpful note, from my experience at Six Flags whether it’s busy or not I’ve noticed that Viper tends to have a very short line :), which means you can go on the ride multiple times in a row without a wait, if you dare.